Facebook recently changed it’s policy regarding video attachments. 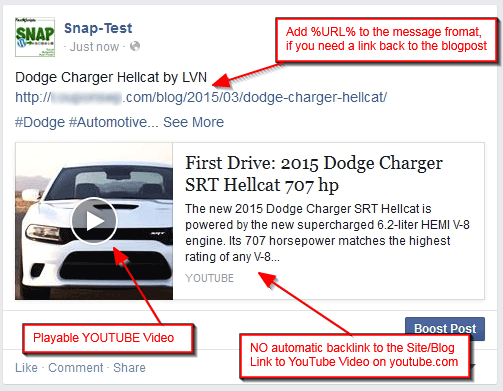 There is no longer possible to attach a playable youtube/vimeo video to the link back to your own website. Video could be playable only if direct youtube/vimeo page is shared. 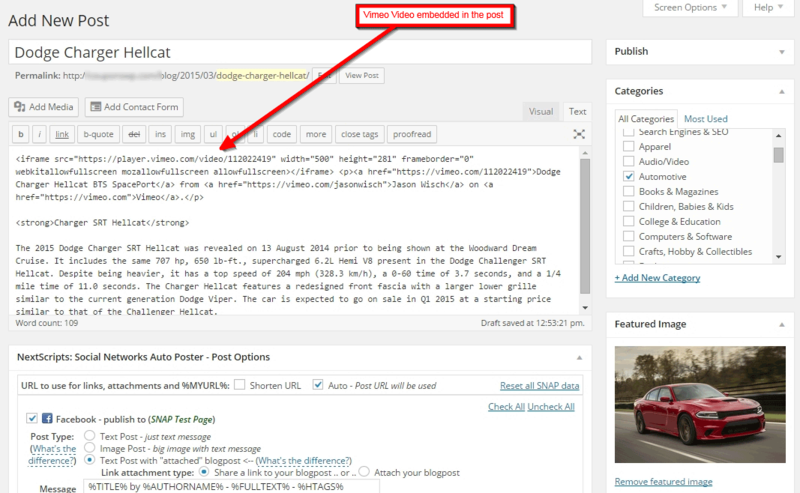 Starting with version 3.4.15 SNAP Plugin has three options defining what to do if WordPress post has a video in it: 1. Do nothing; 2. Use as thumbnail; 3. Attach Video. Nothing will be done about the video. 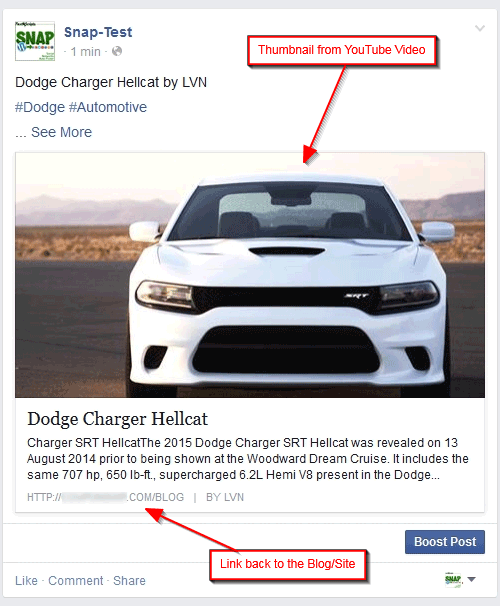 Plugin will make usual Facebook post with shared link back to your site/blog and with featured image as link thumbnail. 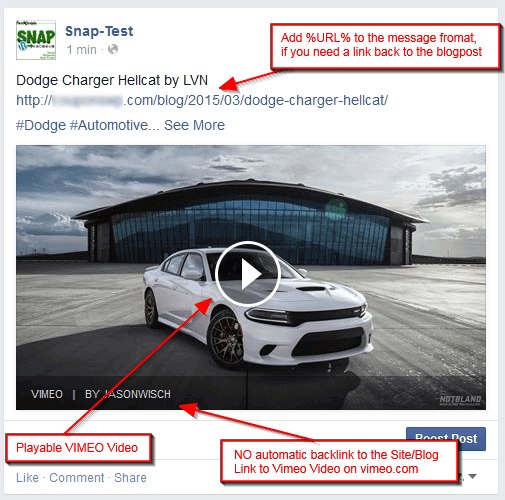 Plugin will share Video on Facebook along with message defined in the “Message format” filed. 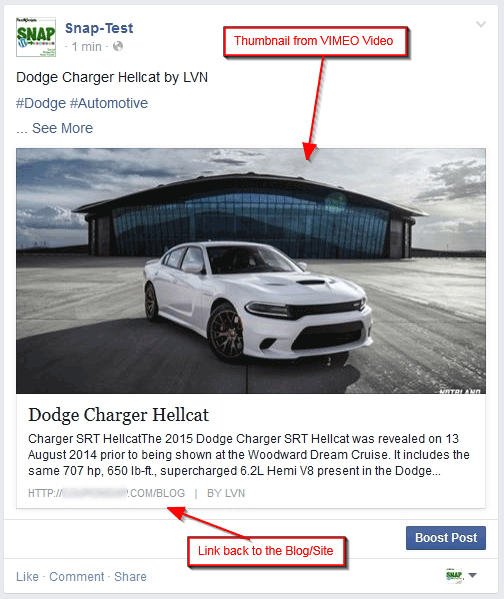 This post type will not add a backlink to your blog/site automatically. 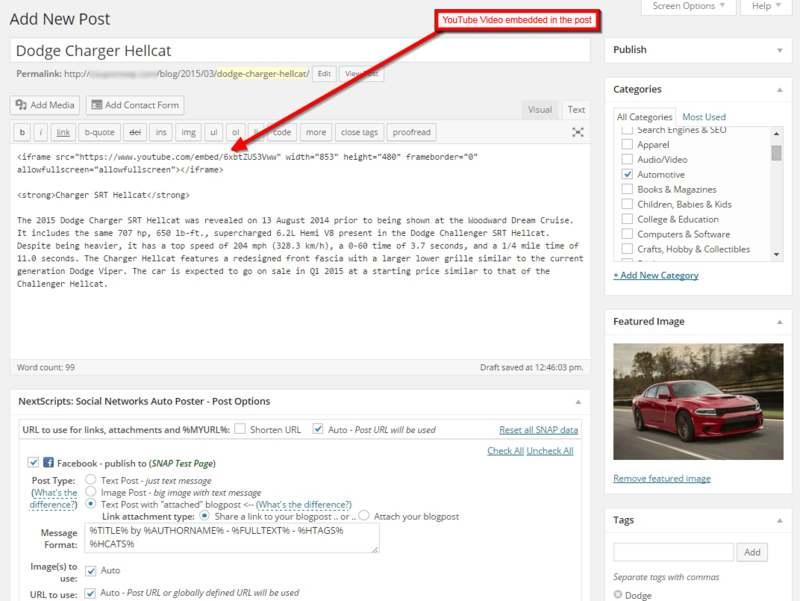 You need to add %URL% or %SURL% to the “Message Format” field if you need a backlink. PS: Please don’t ask how to make YouTube video post to looks like Vimeo video post. 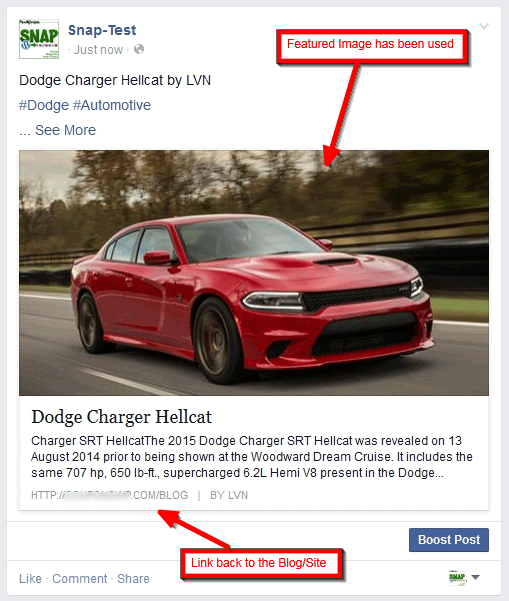 We have no idea why Facebook makes YouTube video previews smaller then Vimeo. Thgis is not about the plugin, Facebook does it general to all YouTube videos, no matter how they were shared.